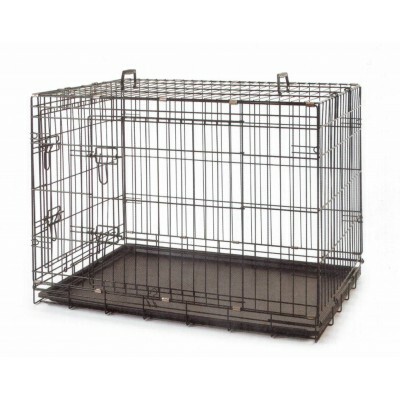 This Heavy Duty Metal Dog Cage is made of high quality sturdy wire with black powder-coated finish. It comes with everything for your convenience. 2 doors design for absolutely easy access to your pet. 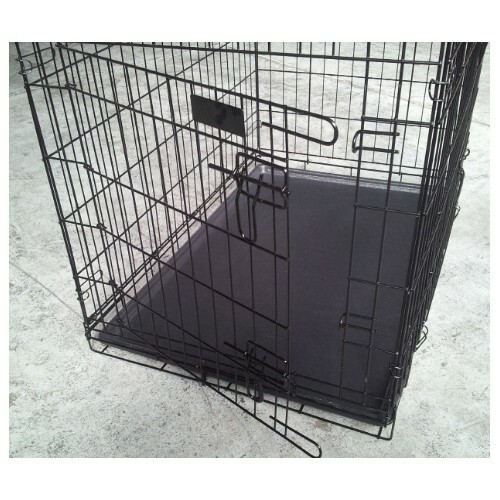 Set up is easy and you can just fold it down to portable size when not in use. 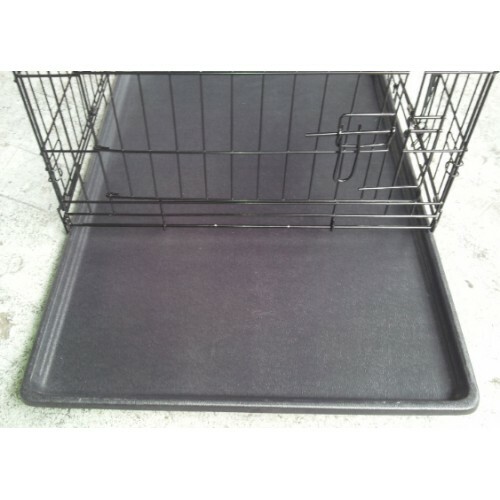 The metal cage comes with a removable plastic tray making cleaning a snap. 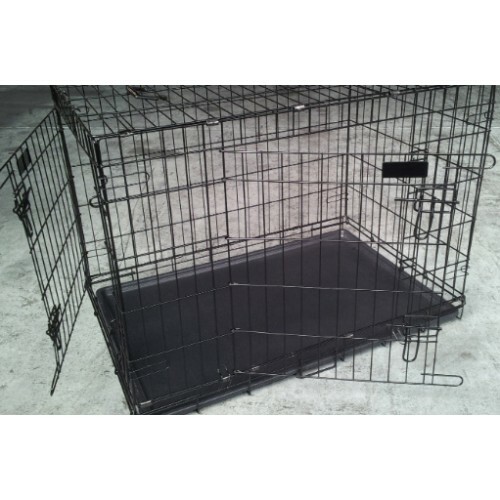 It keeps your pet safe and sound. The safe and secure bolt latches protect the pet inside and your furniture outside. You and your pet will love it.